A Roseville motorcyclist fatality occurred on January 10, after the rider’s Kawasaki Ninja swerved into oncoming traffic along southbound Industrial Avenue. The rider, identified as a Roseville resident, age 25, collided with a Toyota Highlander. The Toyota driver, also a Roseville resident, age 70, was uninjured in the crash. The name of the deceased rider has not been released. I want to offer my sincere condolences to the family and friends of the deceased man in their time of sorrow. According to the report by the California Highway Patrol (CHP), the rider was moving at high speed close to South Loop Road when the accident happened. Upon impact, the motorcyclist was thrown from his bike. The injuries he suffered were fatal, and first responders with the Roseville Fire Department declared him dead at the accident scene. The Toyota driver was not charged in the accident. The road in the vicinity of the Roseville motorcyclist fatality was closed for around two hours as an investigation into the accident was conducted by the CHP. Riders purchase a motorcycle that has too much power for them to handle safely. Buying guides are available to help a new rider choose the appropriate type of motorcycle. They may take only one safety course or none at all. 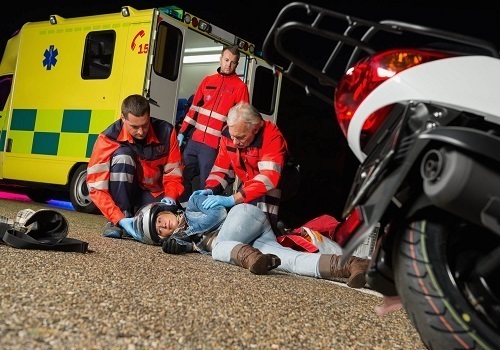 Not only is safety training important, but there are also intermediate and also advanced safety courses offered that can increase a motorcyclist’s skills. Riders may fail to learn to ride as if they are invisible. Many motorists, following a collision with a motorcycle rider, say that they never saw the bike, so being conspicuous on the road is important. Riders may fail to use extra caution when lane splitting, causing a Roseville motorcyclist fatality. Don’t lane split when other motorists are moving faster than 30 mph, and don’t travel over 10 miles above the rest of the traffic. Lost future wages until the time of normal retirement, along with pension benefits, insurance, and health coverage. Services the loved one provided such as car repair, lawn care, cooking, etc. Loss of inheritance that would have accumulated if the decedent had lived. Loss of the love, care, companionship, and guidance provided by the deceased. I’m Ed Smith, a Roseville wrongful death lawyer. If a negligent motorist or entity is responsible for the death of your loved one, the family might be able to place a wrongful death claim to recover their financial losses. For free and friendly advice, you can get in touch with me at (916) 921-6400 from Roseville or through my free long-distance line at (800) 404-5400 if you call from somewhere else in Northern California. In addition to my phone lines, I also have a contact page on my website at AutoAccident.com. For 37 years, I’ve helped those in Roseville and the rest of Northern California to obtain just compensation in all kinds of car accidents, traumas such as brain injuries and truck collisions. Two groups that I belong to are Million Dollar Advocates and the National Association of Distinguished Counsel. The first was set up for trial lawyers who have obtained more than $1 million for a client. The second is by invitation only for those fewer than one percent of lawyers who are recognized as promoting legal excellence in their practice.